Here’s an amazing pic of the first supermoon of 2018 from Hawaii… – Sig Nordal, Jr.
Here’s an amazing pic of the first supermoon of 2018 from Hawaii Volcanoes National Park. 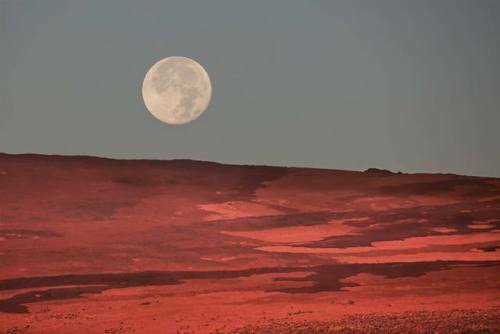 This photo of the full moon over Mauna Loa was taken 400mm telephoto lens from Volcano House shortly after sunrise. Did you see the supermoon? Photo by Volunteer Janice Wei, National Park Service.